Staying in Ubud needn’t mean missing out on the beauty of south Bali. 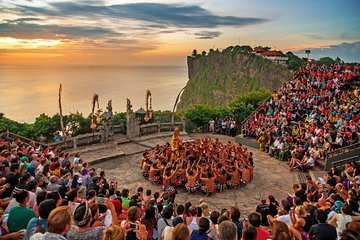 Leave Bali’s brutal traffic to your private driver/guide as you travel from your door to cliff-top Uluwatu Temple, perched 230 feet (70 meters) above the Indian Ocean. Watch the sun sink slowly into the sea then head to Jimbaran Bay for a candle-lit seafood feast on the beach before your driver drops you home.